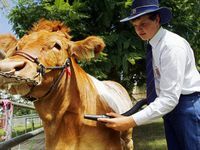 SHOW cattle at West Moreton Anglican College are enjoying five-star beauty treatments, including hot-air blow dries from two new dryers. 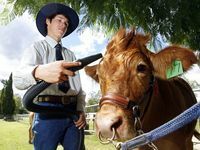 The tailor-made hairdryers were imported, and are helping students in WestMAC's cattle show team to keep the animals in top condition. WestMAC farm manager Jason Beattie said the dryers drastically reduced the time it took to get the cattle show-ready. "We take about 20 head of cattle to local shows, and we do a lot of the prep the day before and a spot-clean on the day," Mr Beattie said. "We can dry one cow up to six times at a single show, and now it takes about 15 minutes rather than 40 minutes." 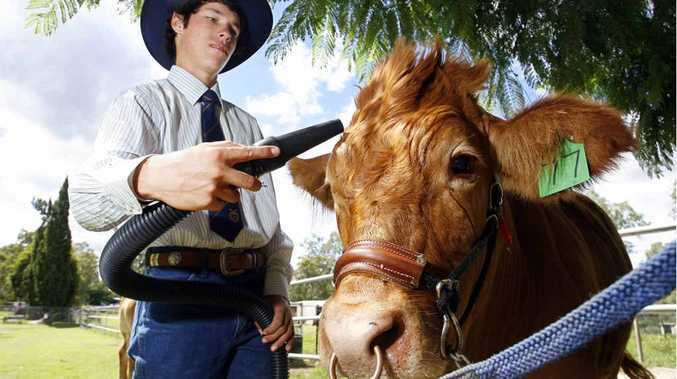 "We also wash and blow-dry the cows weekly at the school." Year 12 student and show team member Jake Spann said it took a lot of effort to primp and prime the cattle for shows. "We used to have cold dryers, but the cattle are starting to get used to these new ones, which is good," Jake said. 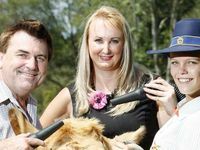 "Before I joined the WestMAC show team I used to show cattle from my family farm, but they were all short-haired, so the drying and hair products are a bit of a change." The dryers cost $1500 in total, and were bought using donations from councillors Cheryl Bromage and David Pahlke and the WestMAC P & F.
Mr Beattie said 79 middle and senior school students were registered in the cattle show team. 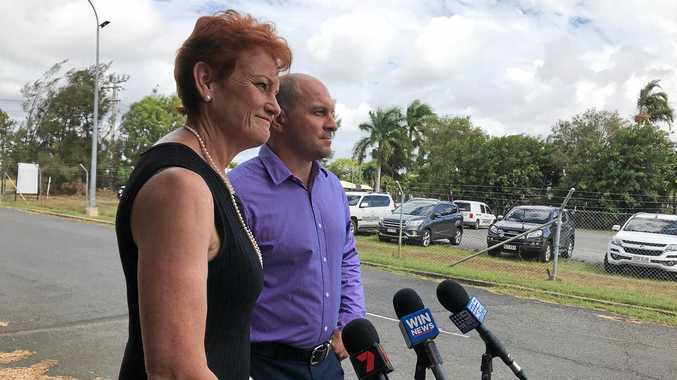 The team will attend 11 shows this year, as well as the much anticipated Beef Australia Expo in Rockhampton.